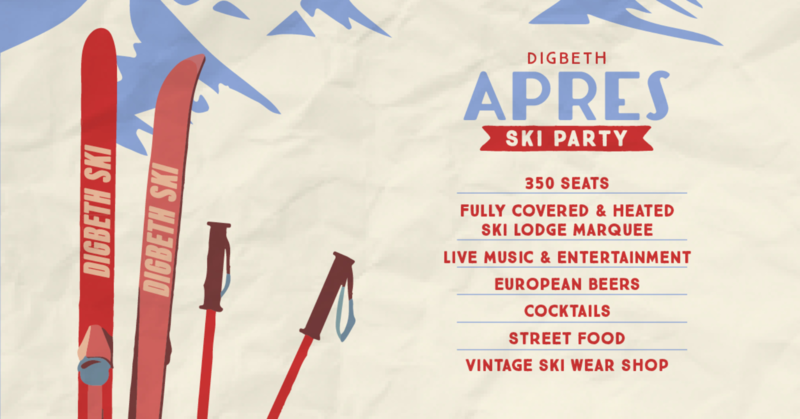 The Old Crown and Seasonal Markets events are getting ready to hold the first Digbeth Apres Ski Lodge Party over three weekends in December the 8th, 9th, 15th, 16th, 22nd and 23rd. STANDARD TICKETS COST £12.50 and include reserved seating. TICKETS FOR GROUPS OF 5 OR MORE WITH FOOD cost £22.50 and include a sharing cheese fondue platter served with a selection of breads, charcuterie, bratwurst, potatoes, pickles and vegetables. PLEASE e-mail alex@theoldcrown.com with your party size and any dietary requirements. What Apres ski party is complete without the bar, this winter, guests can enjoy mulled wine, hot spiced cider, mugs of steaming hot chocolate, cocktails, a wide selection of European beers, champagne cocktails and of course Schnapps! We will be working with some of Birmingham’s very best street food traders to bring you an Alpine inspired menu, expect a twist on the French classics such as fondue and raclette, details to be released soon. The Bournville Waffle Company will be in residents each night with their full menu of delicious sweet waffles. Through out the evening there will be a full line up of entertainment from DJs and live bands such as The Heavy Beat Brass Band. We will also be holding a best dressed competition for those that wish to embrace the mountainous air and don the salopette for the night. Forgot your goggles? We will also have a vintage ski shop on site selling everything from ski jumpers to ski boots. This will be a truly unique event whether you are coming alone or with a group of friends or as part of an office party it will be an event not to be missed!! Ticket includes entrance, a full night of entertainment and seat reservation. Ticket does not include food.